If you have been reading this blog for very long you will quickly learn that I am constantly struggling to get healthy dinner options on the table. With three kids still at home, most evenings are spent running to their various activities. Usually this means one kid needs to be dropped off on one side of town while another one needs picked up at the exact same time. It can be chaotic to say the least. With this in mind, I have learned over the years that I have to be very intentional about our meal planning. If I don’t plan ahead of time, it is more likely that we will be grabbing something fast. This normally results in unhealthy options. I like to create my weekly menu and complete my shopping on the weekends. This helps me determine the best meal for the best evening based on scheduled activities. Then I feel more confident going into the new week knowing that I won’t have to worry about feeding the kids on those busy nights. Seriously…it saves me so much time and stress during the week. Fill a medium saucepan half of the way with water. Add in the cabbage and let boil until soft. 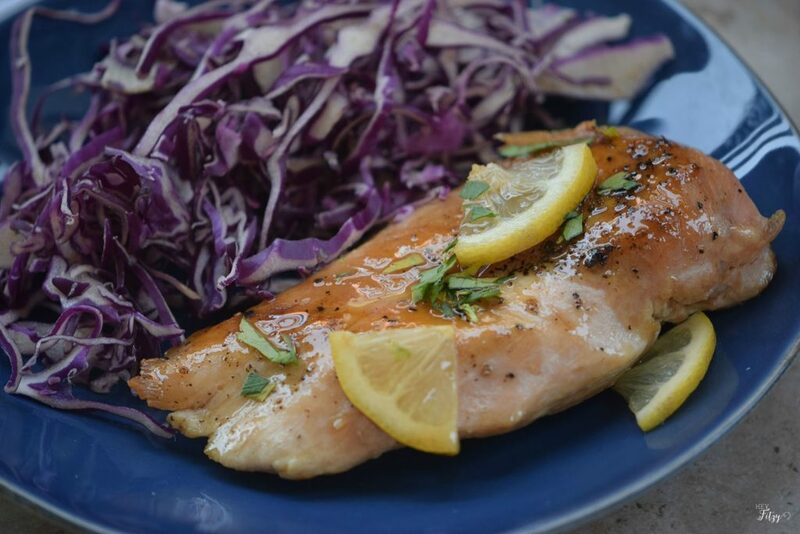 Drain the cabbage and squeeze in the juice of 1 lemon, then set aside to chill in the refrigerator. Sprinkle each side of the chicken breasts with salt and pepper, then coat with flour. Combine the olive oil and butter in a medium skillet and heat on medium high heat until the butter melts. Place the chicken in the skillet and cook both sides for 5 minutes or until both sides are golden. Add in just 1/4 cup of the chicken broth and let simmer for 3-4 minutes before adding the remaining broth. Squeeze in the juice of 1/2 a lemon and cut the other half in thin slices for garnishing. 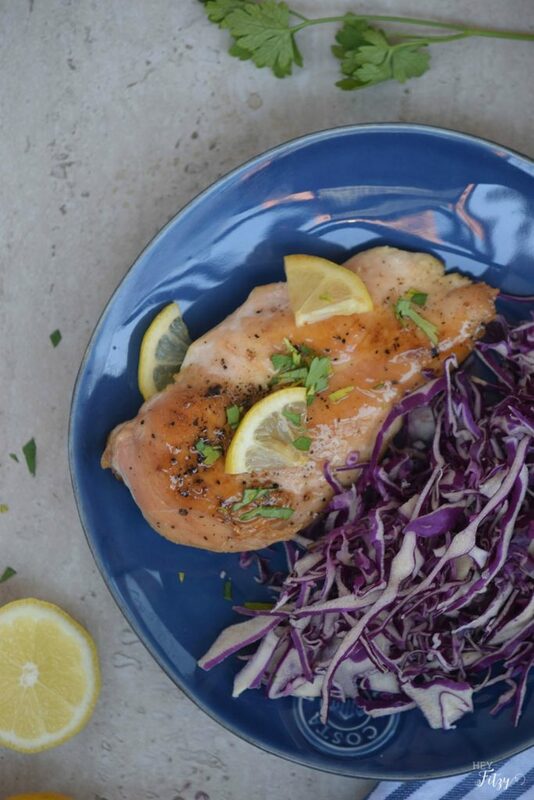 Transfer the chicken to a serving plate with the chilled red cabbage. Garnish chicken with chopped parsley and lemon slices. For a white cream simply add in cream or natural yogurt to the lemon juice. How often do you find a meal that is quick and easy as well as healthy? You can also feel good about what you are feeding your kids. Now that is a win-win for me! Busy? Overwhelmed? Still want to eat healthy? 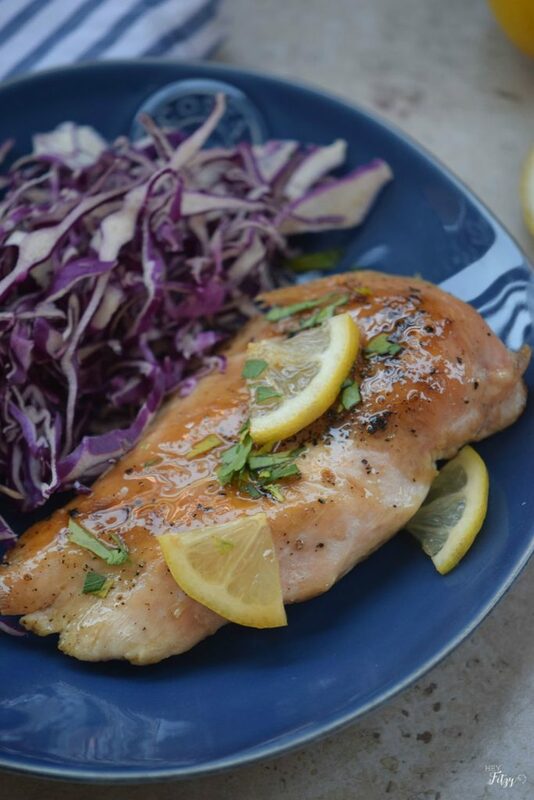 Try this great recipe for lemon chicken. 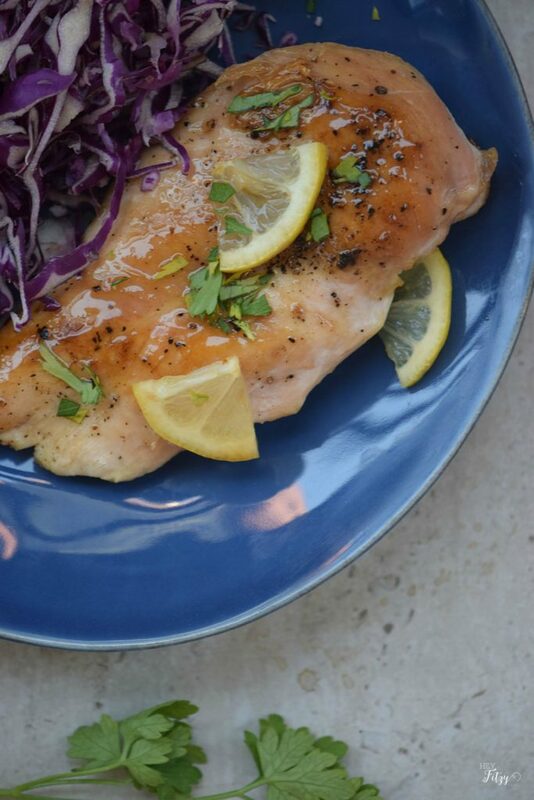 From stove top to plate in 30 minutes! You can do it! « The Ultimate Gift Guide For Everyone On Your List! Delicious! Thank for sharing for the Home Matters party. Hi Lindsey, Thank you for stopping by! Hope you have a fabulous week!